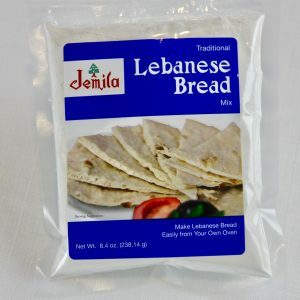 Jemila Bread Mix can be used to make Flat Lebanese or Thick Syrian Bread. 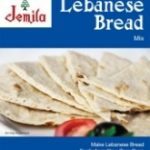 Lebanese bread, not pita, is a soft and flavorful flat bread which may or may not have a fully formed pocket… usually not a complete pocket. 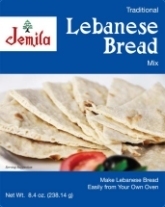 Traditionally a painstaking process to bake, now made easy using Jemila’s Lebanese Bread Mix. 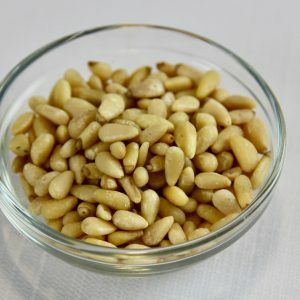 Lebanese Bread is eaten at every meal. 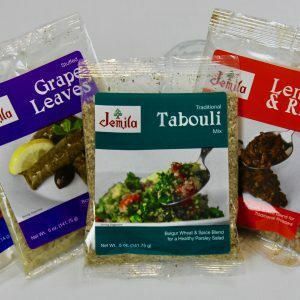 Kibbee, Tabouli, Hummus and all the favorites are enjoyed by pinching a portion in a small piece of Lebanese Bread. 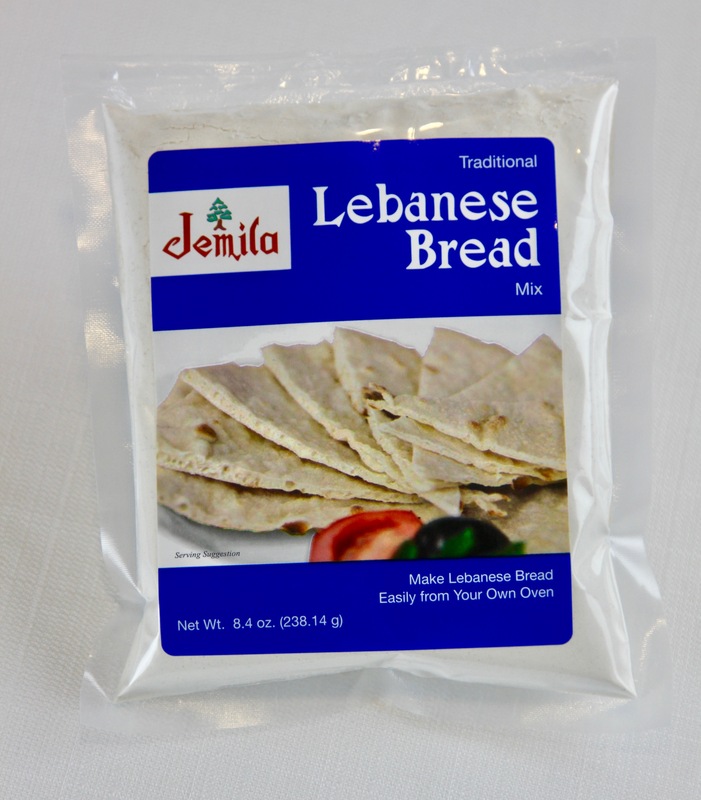 Jemila Lebanese bread mix can be baked in an oven, on a grill or stove top in a heavy skillet. Step-by-step instructions are on each package. 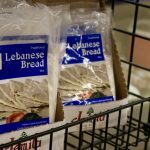 Syrian Bread is made from the same delicious mix but handled differently to gain the thick light texture ideal in Syrian bread. 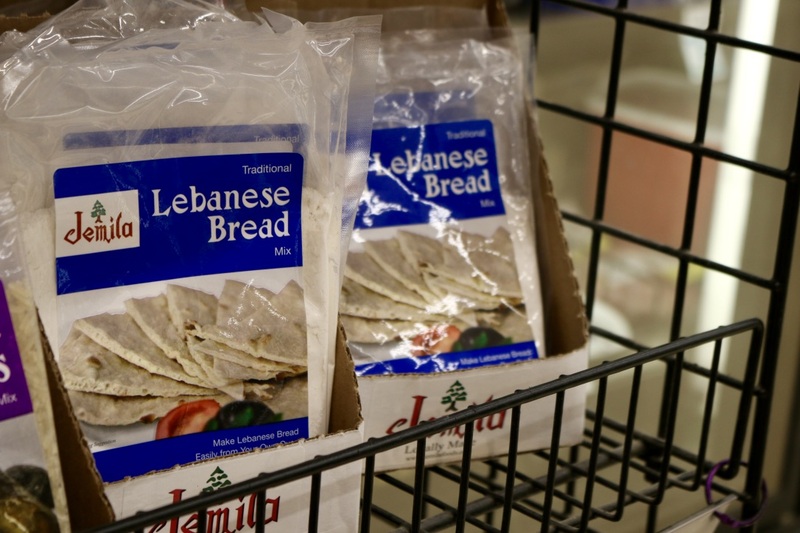 Syrian bread can be made bun sized loaves or one large loaf. Step-by-step instructions are on each package. 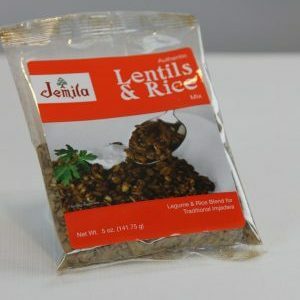 Jemila Bread Mix is sold in 6 or 12 packs and also available in our sampler.